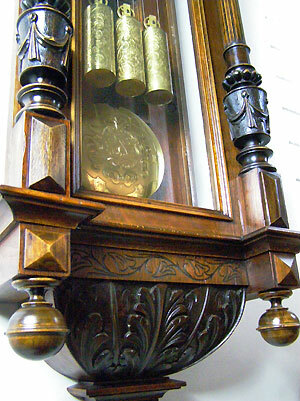 This is an eight-day Grand Sonnerie striking Vienna regulator clock by Lorenz Resch from Ebensee in Austria. 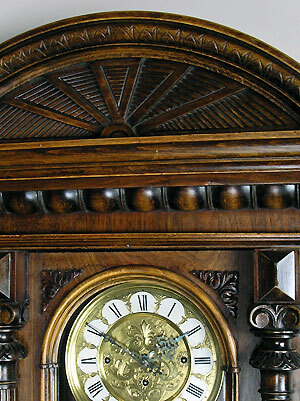 The clock is in a walnut veneer case and the seven inch dial is engraved with silvered cartouches. 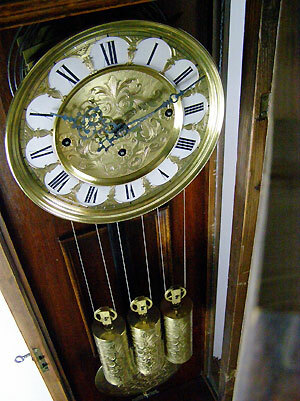 The pendulum-bob and the three weights are also finely engraved. 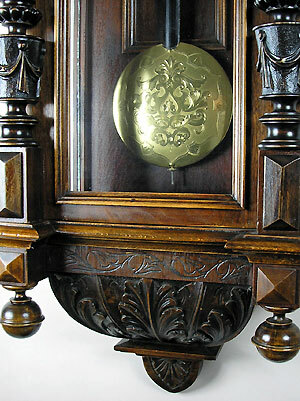 The movement is signed and the case has carving with full reeded columns on each side. 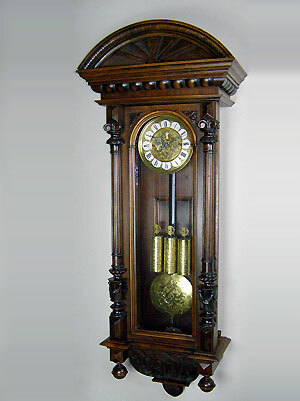 This clock is original throughout.